You are not logged in. [Log In] Synth Zone » Forums » General & Computer Related » Wanted To Buy & Sell » New Korg Pa600 for sale! 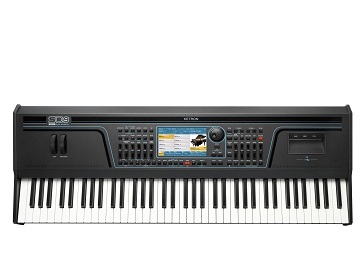 #467580 - 03/17/19 01:01 PM New Korg Pa600 for sale! When someone rushes and buys a Korg Pa600, and in less than 2 weeks, upgrades to the KETRON SD7, you are left with a great deal of a lifetime. Grab this new Pa600 while it lasts. Asking for $900.00 with free shipping anywere in the world outside of Ebay for SZers. If interested, call us at 267-323-5005 for more info. Generated in 0.036 seconds in which 0.004 seconds were spent on a total of 15 queries. Zlib compression enabled.